Algerine Trapnell’s father, Elijah Trapnell was one of the early settlers of Emanuel County. 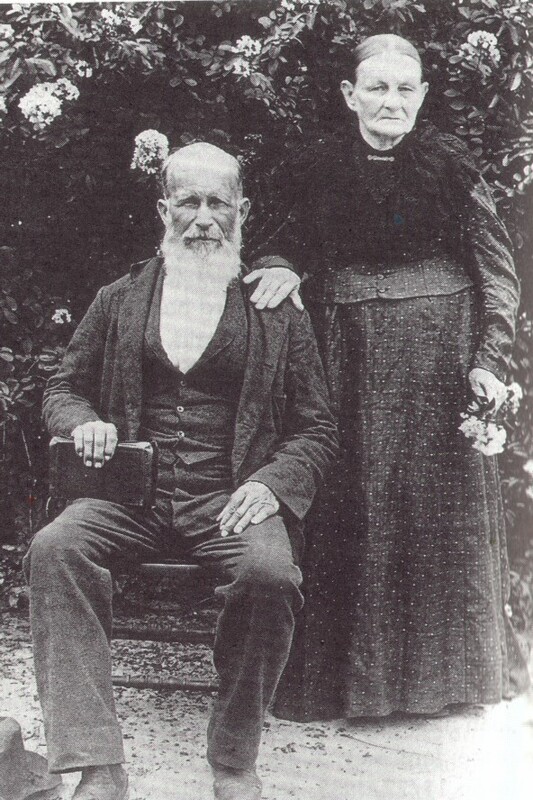 Elijah Trapnell and his wife Teresa Hull Trapnell lived south of Nunez and ran a sawmill near Yamgrandy creek. When Elijah died in 1854 he left his oldest son Algerine as the trustee of his estate and guardian of his youngest children Mary Ann and James Crawford Trapnell. Algerine was married to Nancy Kennedy, daughter of Samuel Kennedy and Sarah Brown and had four children of their own at the time of Elijah’s death. As executor of his father’s estate, Algerine began selling some of his father’s land in Emanuel County and began to buy land across the Canoochee River in western Bulloch County. Sometime around 1860, he and Nancy built a home near a sparsely populated crossroads on the Sunbury Road that would later become Metter. When the War for Southern Independence erupted, their lives were put on hold. Algerine and his younger brother James Crawford enlisted together in a local cavalry company that was being reorganized. On 9 May 1862 they signed on with the Bulloch Troop of the 2nd Georgia Cavalry under Captain George Best. The company had previously been mustered in 1861 under Dr. A.I. Henry at the home of W.D. Brannen in Bulloch County. Through May and June of 1862, the troop was stationed at Camp Rose, near Savannah, Georgia. During this early period of war, the 2nd Cavalry provided survellience and protection from union gunboats that patrolled the coast and rivers.On 20 Jan 1863 the 1st and 2nd Georgia Cavalry Battalions consolidated into the 5th Georgia Cavalry Regiment. The Bulloch troop became Company E, 5th Georgia Cavalry Regiment. The 5th was sent to Mississippi and placed in Wheeler's Cavalry Corps. Afterwards, the unit participated in the Atlanta Campaign, the defense of Savannah, and the campaign of the Carolinas. On April 26, 1865, it surrendered with the Army of Tennessee in Greensboro. While Algerine and James were away with the 5th Cavalry, their brother, J.Preston Trapnell had enlisted in the 48th Infantry Company H in Emanuel County. After the 5th Cavalry surrendered in North Carolina, Algerine and his brother were paroled at Hillsboro, North Carolina. Together, the two brothers made their long walk home to devastated Georgia. More bad news awaited their return. Brother Preston, they learned, had been killed during the fighting in Virginia. Algerine returned home to the embrace of his eight children and his wife Nancy Kennedy. Despite the economic collapse of the war, and subsequent military occupation of Reconstruction, Algerine rebuilt his father’s estate by buying and selling land around the Metter area. His home was a two story house in southeast Metter, bordered by Leroy and Hiawatha Streets. (The house was later destroyed by a tornado in 1929.) His brother James Crawford (“Jimmy”) owned a large farm on the western side of town. When the city of Metter was organized under a temporary judicial certificate at the turn of the century Algerine Trapnell was elected mayor. By this time, former confederates had regained the right of suffrage and could hold elected office. The city councilmen were Daniel L. Kennedy (former Capt. of the 47th Ga. Infantry Company G of the CSA- profiled last week), J.T. Trapnell, L.D. Rountree, Mack Mercer, and Charlie Mikell. For more on the 5th Georgia visit Ashley Pollette's 5th Georgia Cavalry Page.